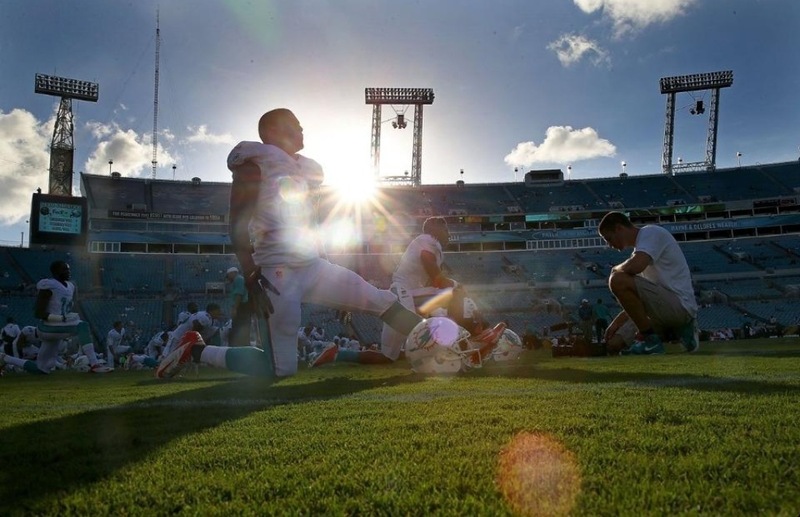 Pitiful Picks: Is Week 3 a Trap Game for the Dolphins? We’re 2 weeks into the 2018 NFL season and the Miami Dolphins are 2-0. That may not be a surprise to many of you reading this blog (unless you’re a member of the national media). What may surprise you are some other results from around the NFL. The Bucs are 2-0? The Steelers haven’t won a game yet? The Browns aren’t winless? What’s going on here?! That’s all well and good, but what is the MOST surprising thing to happen through 2 weeks? I have the answer for you. Hand down. The most surprising thing to happen through 2 weeks is that we have gone 7-1 in our Pitiful Picks! The only game we lost was the Giants/Cowboys game last week. We deserved to lose that game because we put way too much trust in the Giants. Our bad. Yes, this has all of the makings of a trap game for the Dolphins. I can’t say that I feel comfortable about this game, even though the Dolphins are favored and are welcoming a west coast team for a 1pm game. The Dolphins have surprised a lot of people, jumping out to a 2-0 start. I hope they aren’t too full of themselves and hope they aren’t looking forward too soon to the Patriots next week. I think last year (and many previous years) that’s exactly what would happen. BUT, I think the new culture and leadership of Adam Gase will help keep this team’s head on straight. I think they go out and take care of business against a team they should beat. 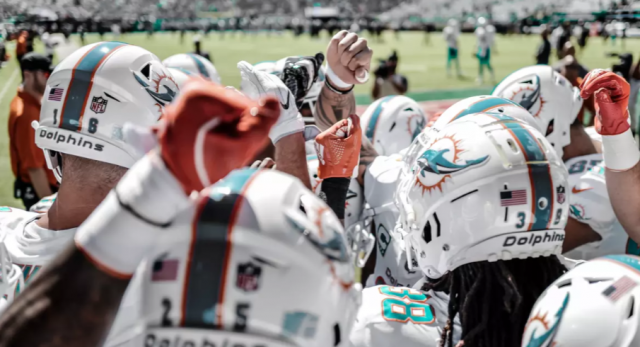 If you’re going to the game this weekend at Hard Rock Stadium, this is for you: The Miami Dolphins have partnered with the Ross Initiative in Sports for Equality (RISE) on RISE to Vote and will hold a registration station at the Dolphins’ September 23rd home game against the Oakland Raiders. RISE to Vote is a nonpartisan effort to register athletes and their fans to vote. Stop by the North Plaza at Hard Rock Stadium and register to vote, take a photo to share, and help yourself and others become informed and engaged citizens. Have your own picks? Leave them in the comments section below! Don’t forget to follow us on Twitter @PhinNation! Pitiful Picks: Can the Dolphins upset the Pats and win 3rd in a row?